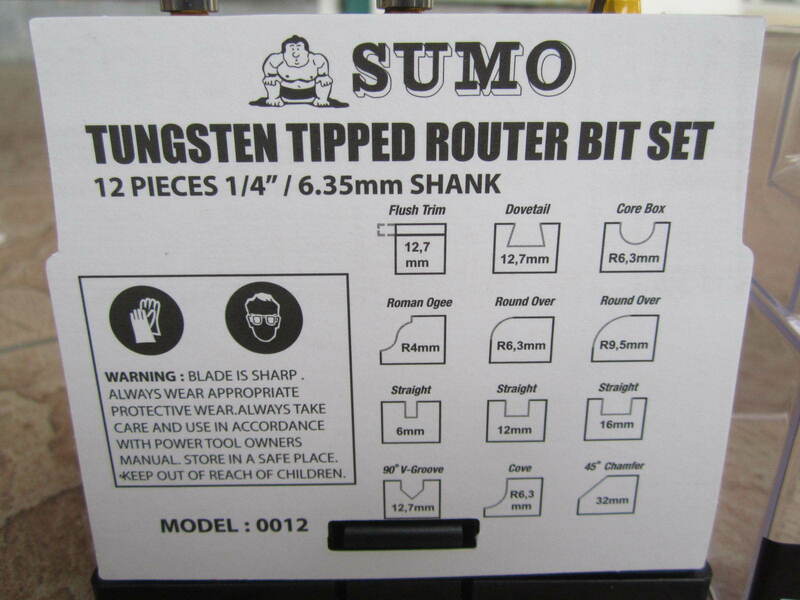 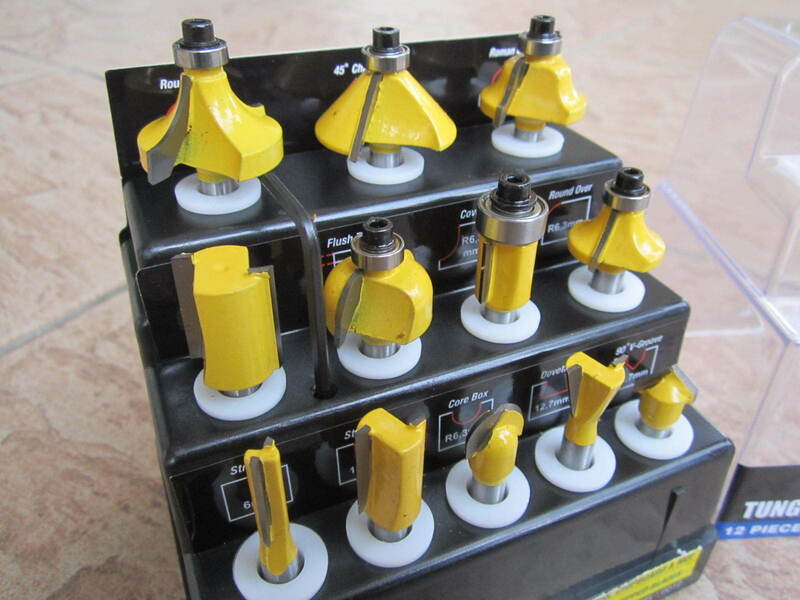 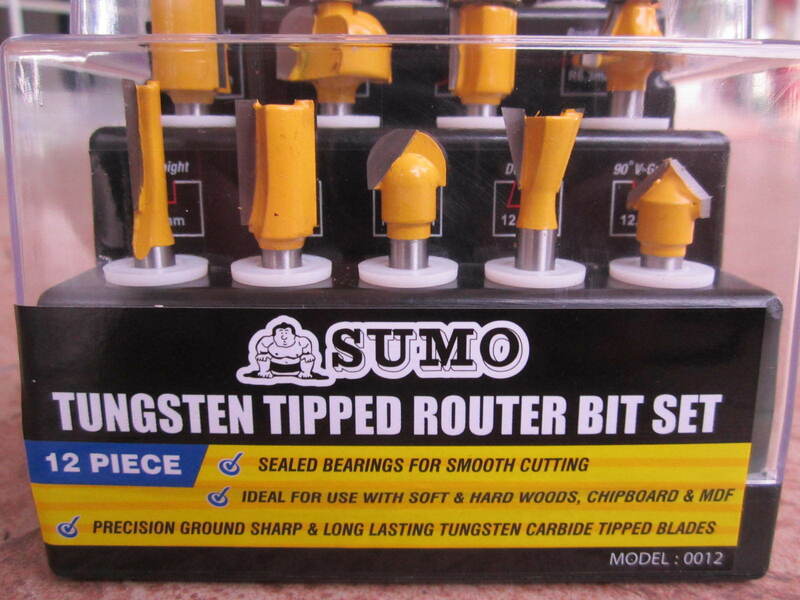 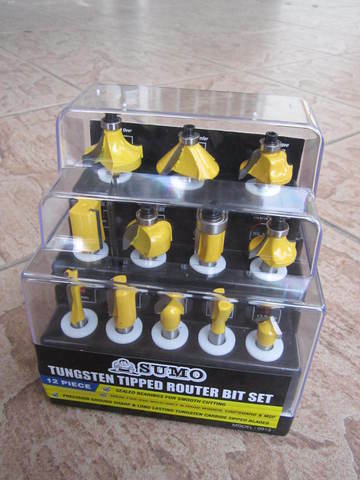 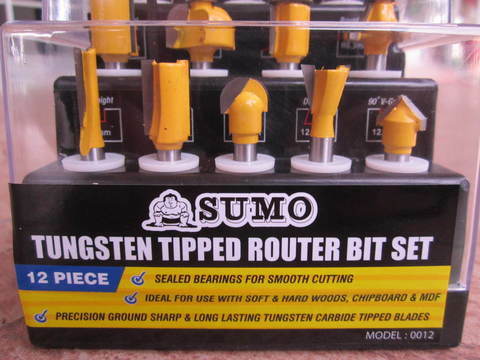 Sumo 12pcs 1/4" (6.35mm) Tungsten Carbide Tipped Router Bit Set.. Ideal for the professional woodworker or casual hobbyist, the Sumo 12-Piece Router Bit Set includes an assortment of common veining, joining and edging bits that produce a smooth, ultra-fine finish. 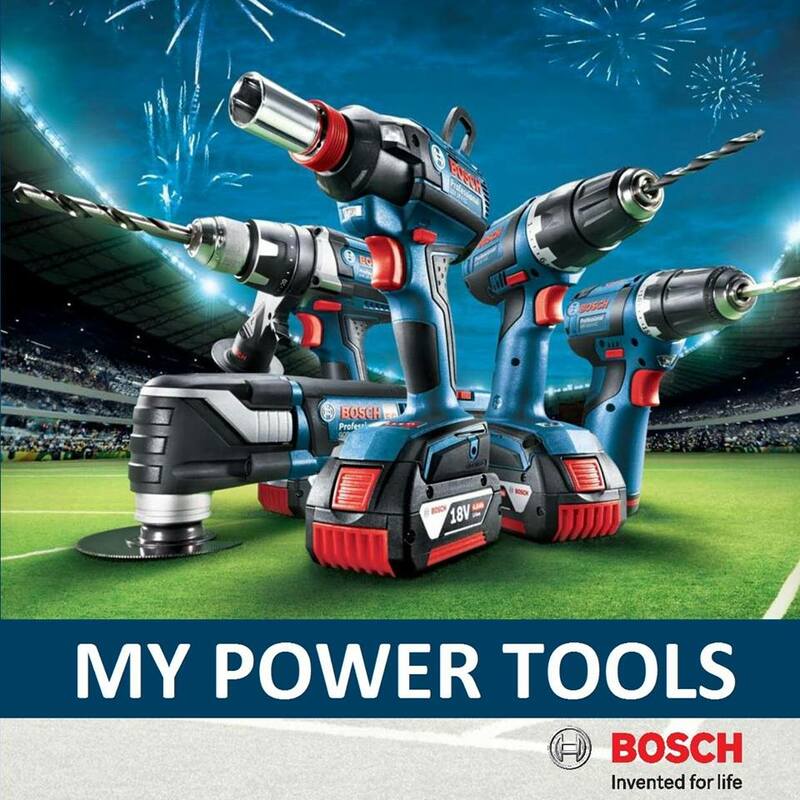 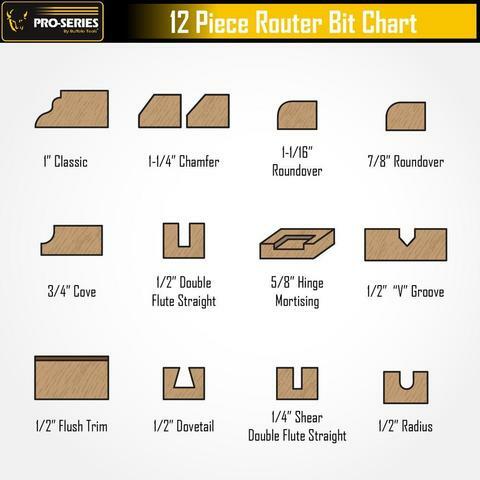 These durable router accessories are built with high-speed steel and carbide-tipped to make controlled, safe cuts for your cabinet-making, home restoration or other woodworking project. 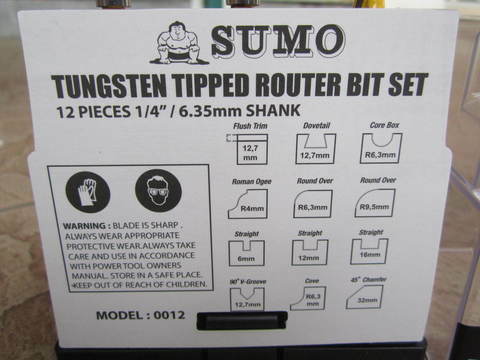 It includes a handy storage rack with a dedicated slot for each specialty bit so they won’t get dinged up in a tool box. 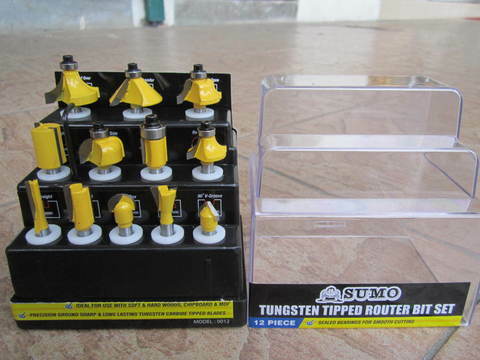 PRICE RM90.00..(Sumo best quality hardware)..